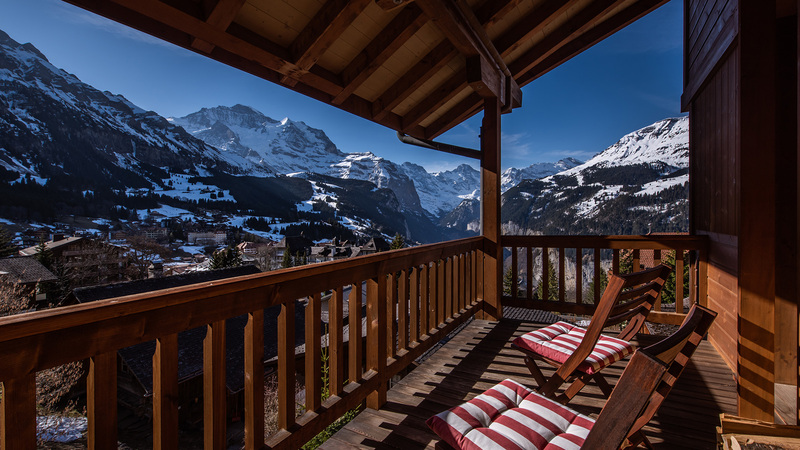 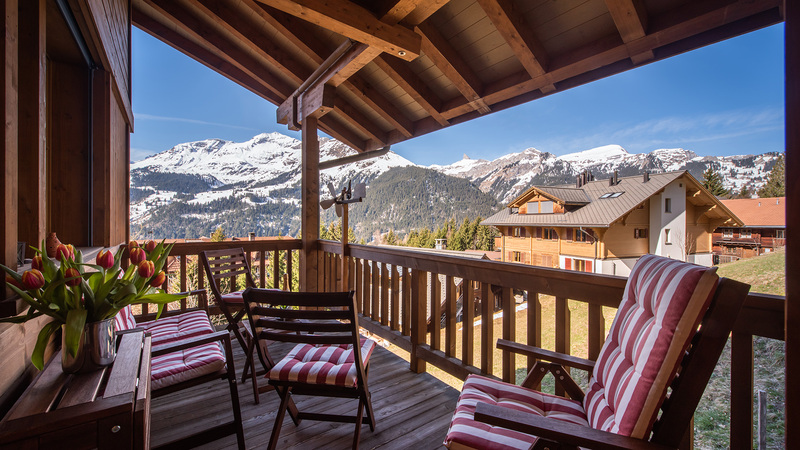 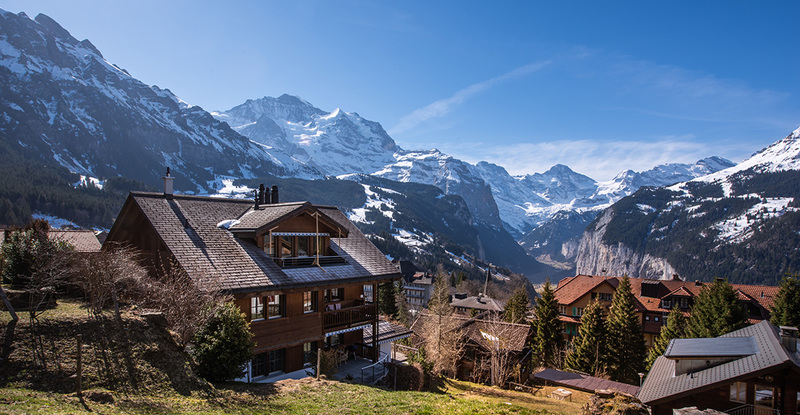 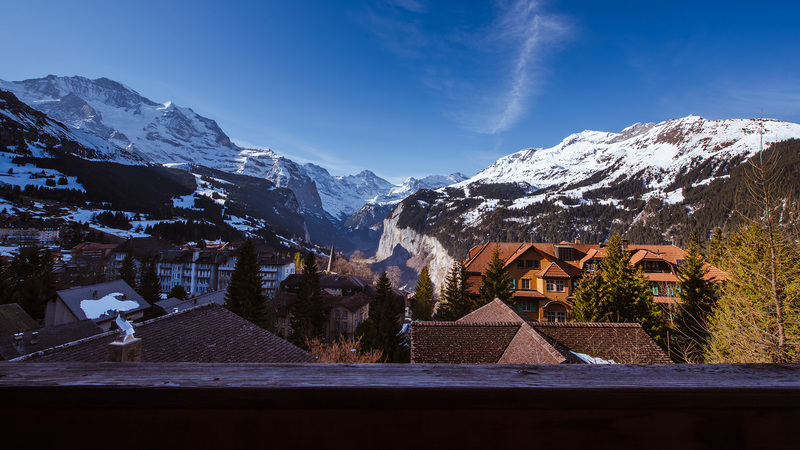 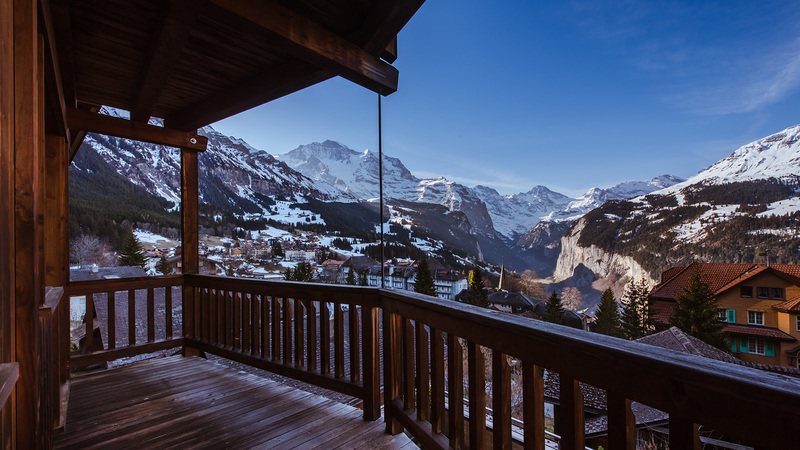 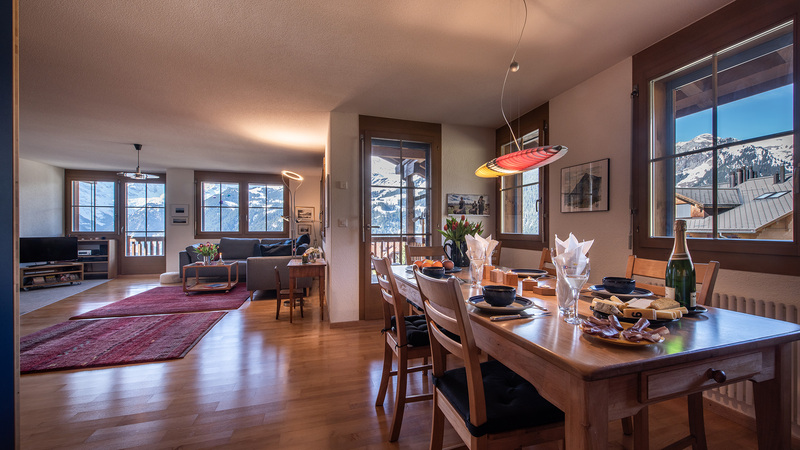 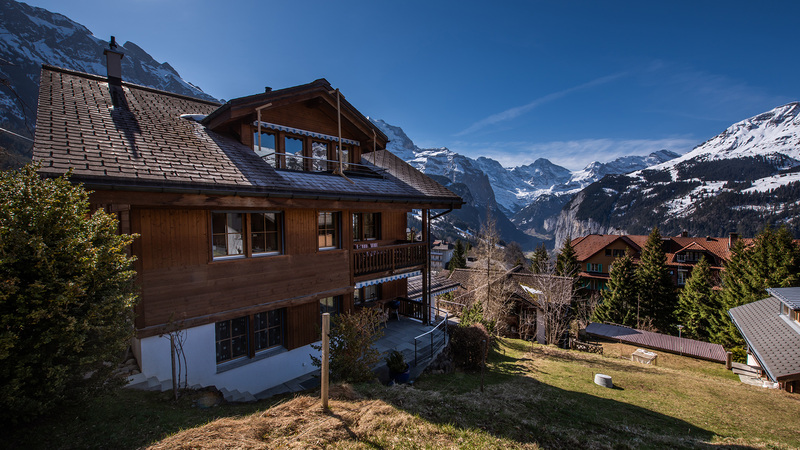 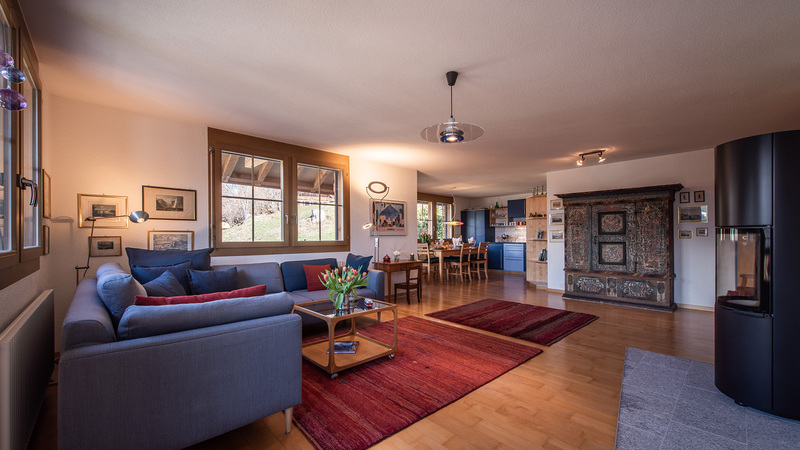 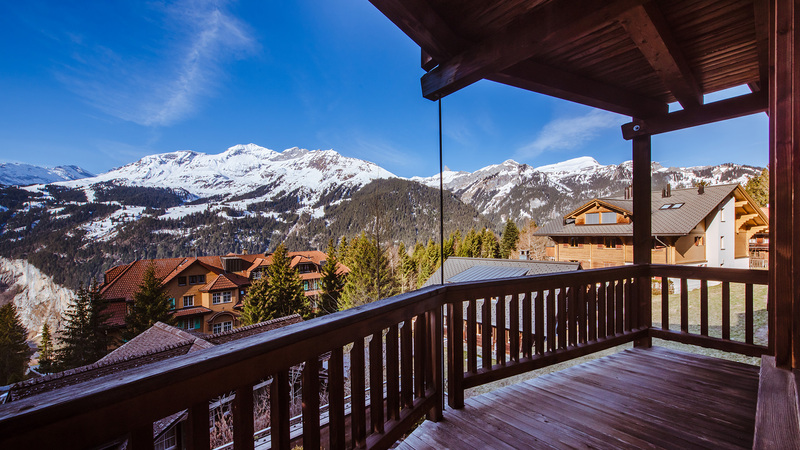 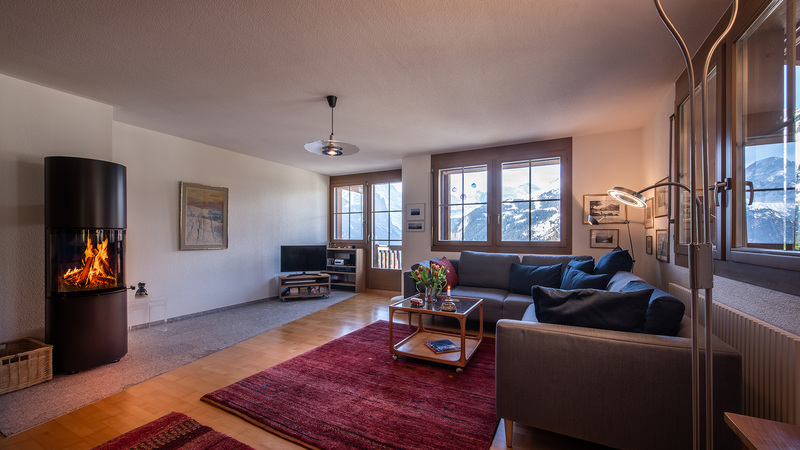 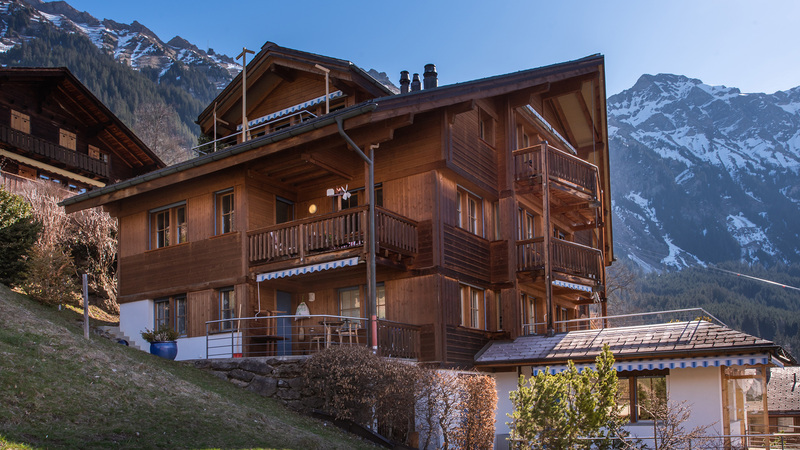 Set in a spectacular position of Wengen with breathtaking views of the village, Jungfrau Mountain and Lauterbrunnen Valley is the Alpenrebe apartment. 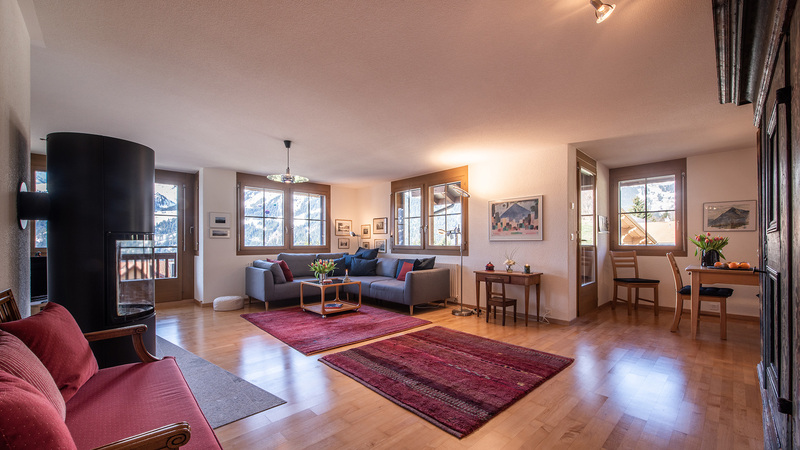 This second floor, three bedroom residence is less than a ten minute walk from the centre and offers a spacious and stylish interior. 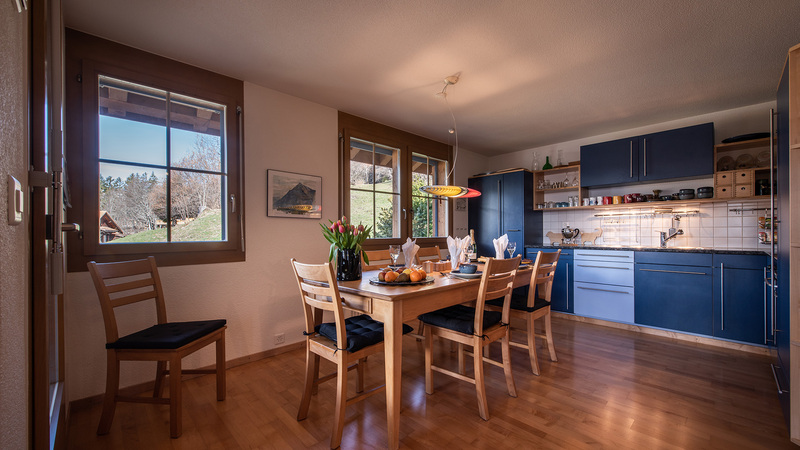 The open living/kitchen/dining area comes with a Swedish wood burning stove, while all three of the balconies allow you to sit out and enjoy the views. 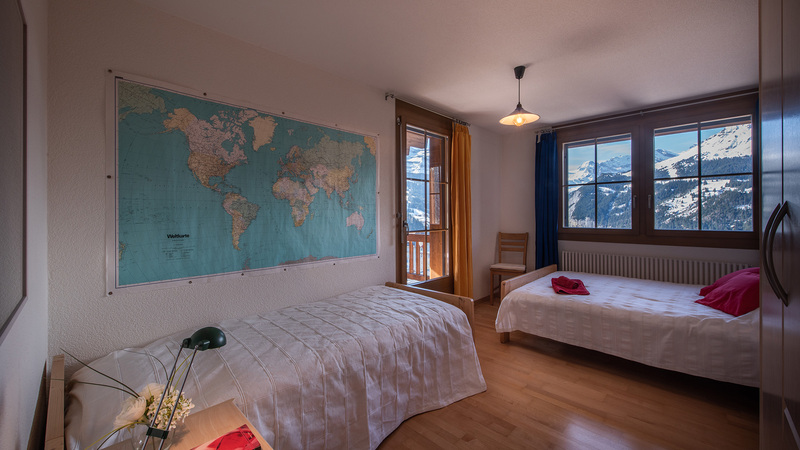 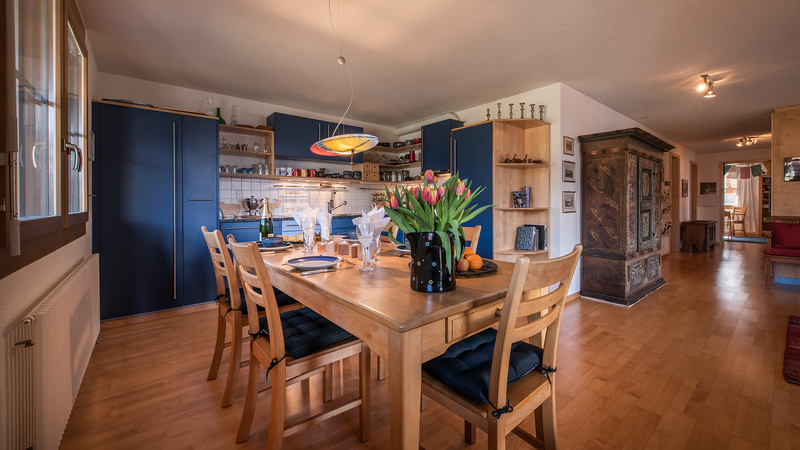 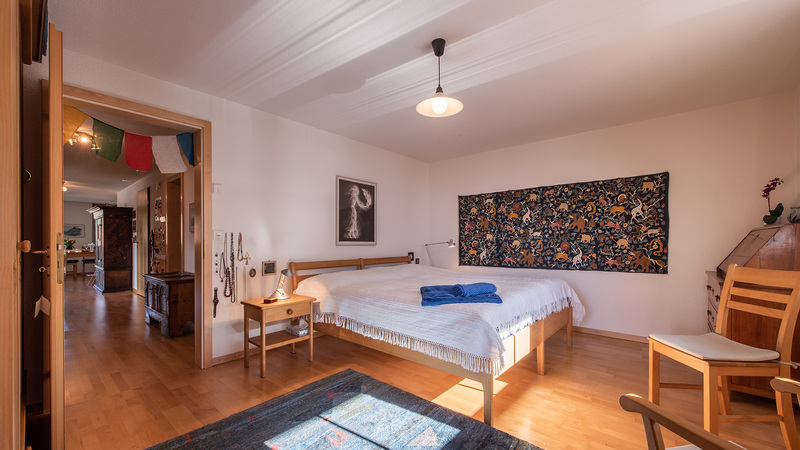 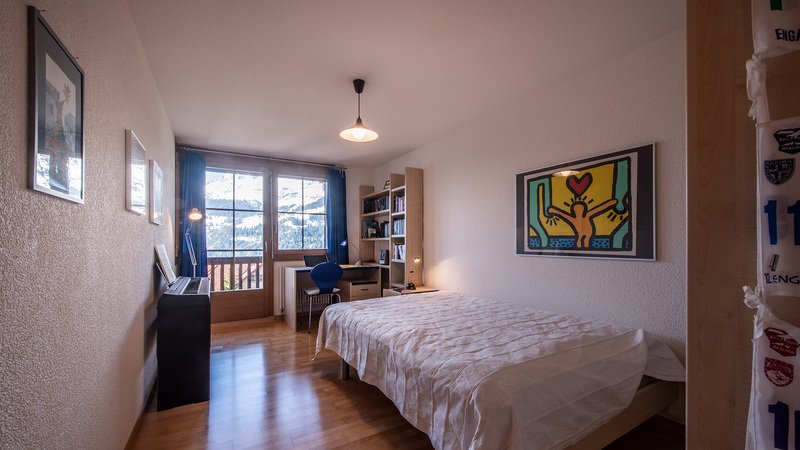 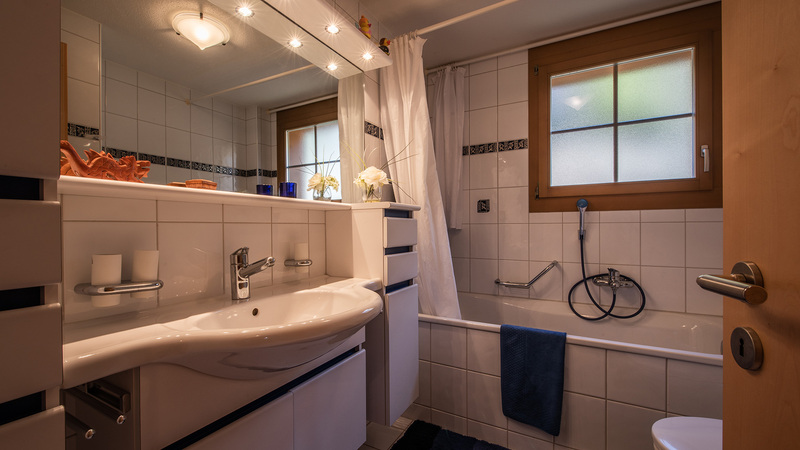 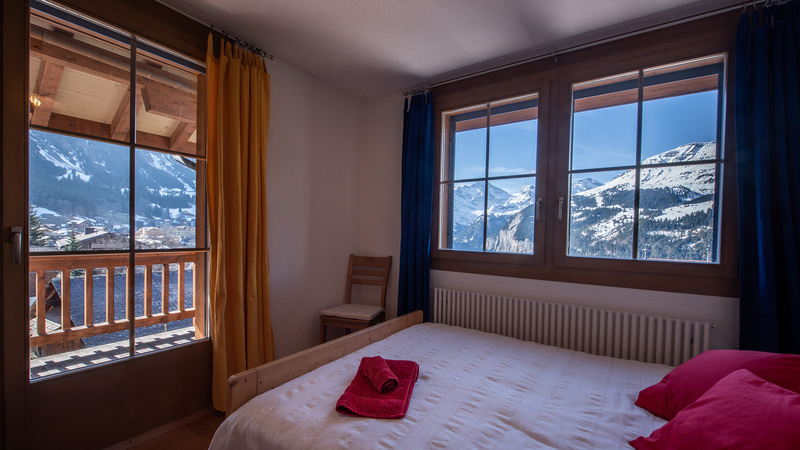 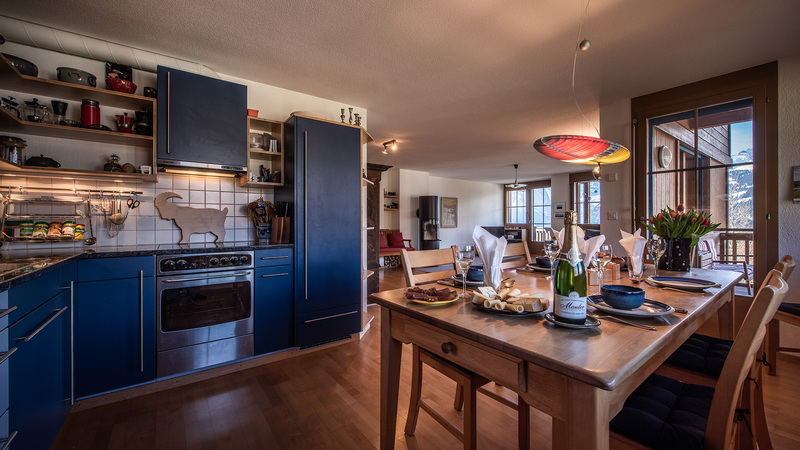 Alpenrebe also comes with a private lock up cellar as well as access to communal washing facilities and a shared ski/boot and bike room.